Come experience one of Dr. Beach's top ten beaches in the country, as seen on CNN!! 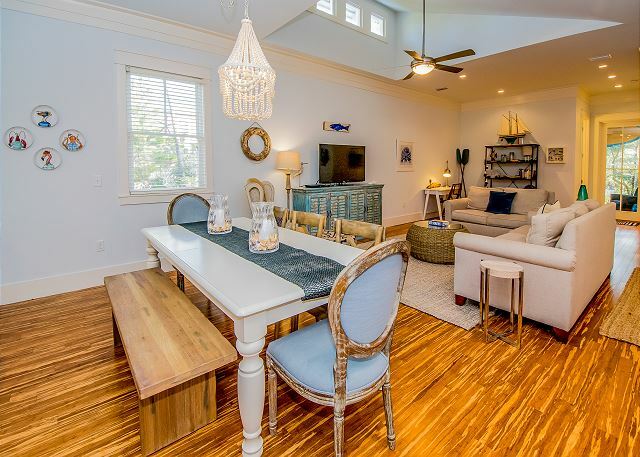 This beautiful one story 3 bed/2.5 bath state-of-the-art vacation home sleeps up to 8 guests in the quiet gated community of The Preserve at Grayton Beach. 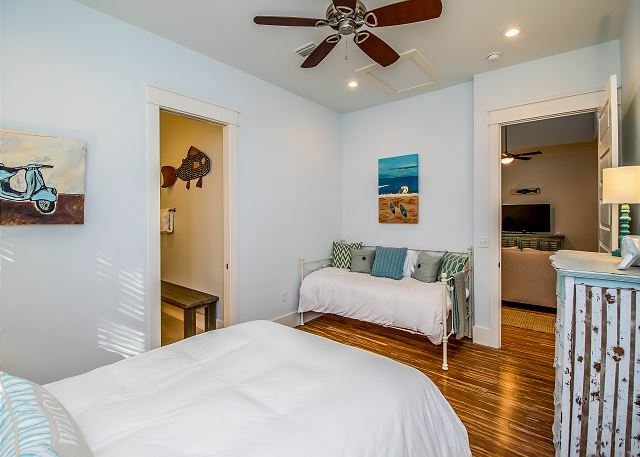 This home is family-friendly vacation rental located just a short walk from the gorgeous, white-sand beaches of the gulf. 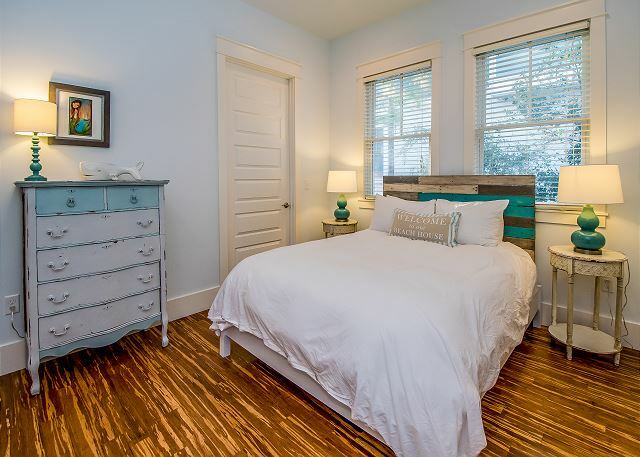 Only a 5-7 minute walk to the beach via private, deeded beach access. 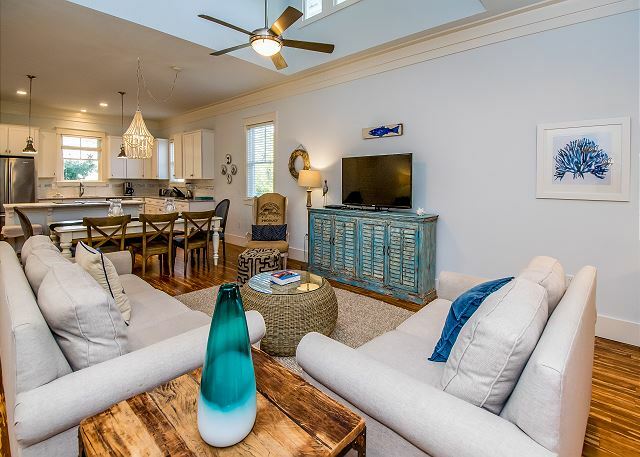 When you first walk into the home, you are welcomed by a large, open-concept living, dining, and kitchen area that provides your guests with the perfect place to entertain and relax after a long day at the beach. 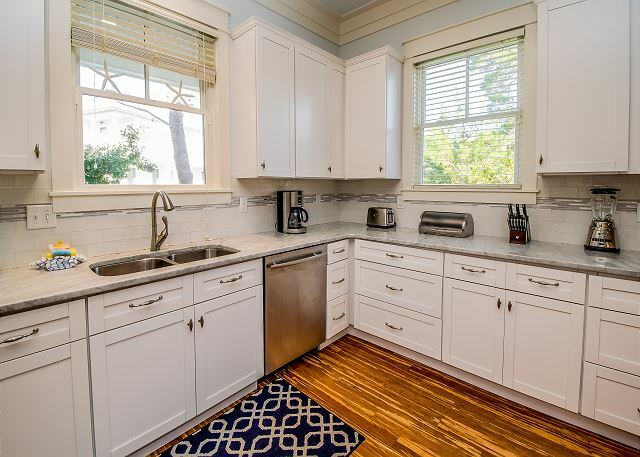 The kitchen is outfitted with carerra marble countertops, stainless steel Jenn-Air pro series appliances, seating at the bar for up to 4, and dining for up to 8 guests. 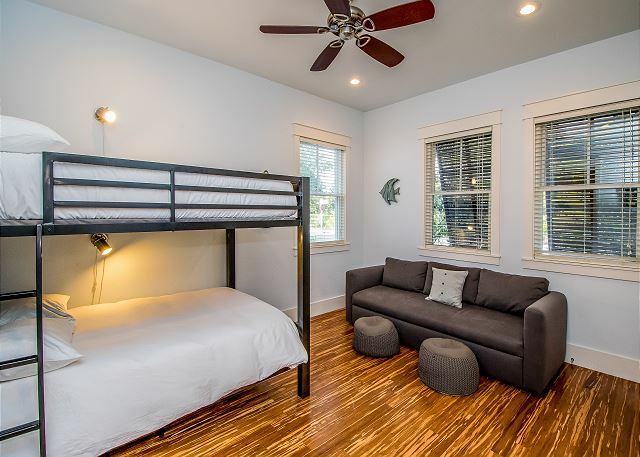 The first bedroom is equipped with full over full bunk beds, a sofa, two closets, and shares a Jill style bathroom with the second guest bedroom. 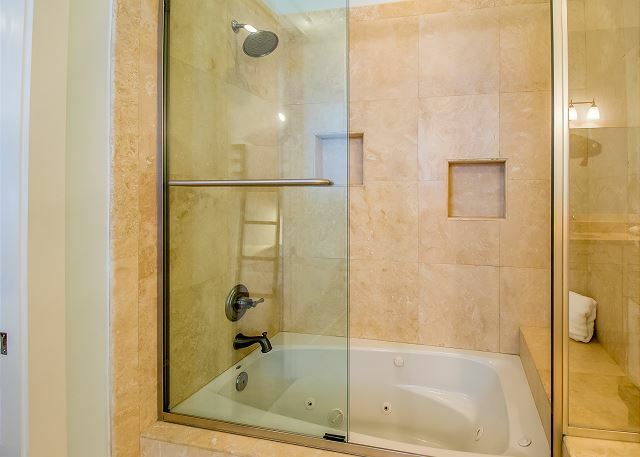 The shared bathroom has a shower tub combo with jacuzzi as well as large double vanities. 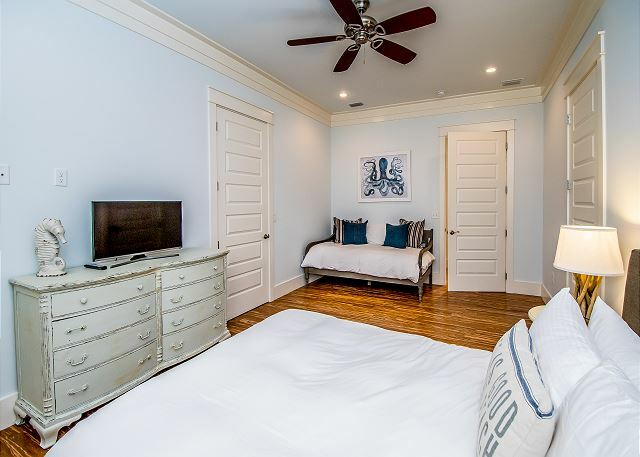 The second guest bedroom has a queen bed, a twin size daybed, and a large walk in closet. 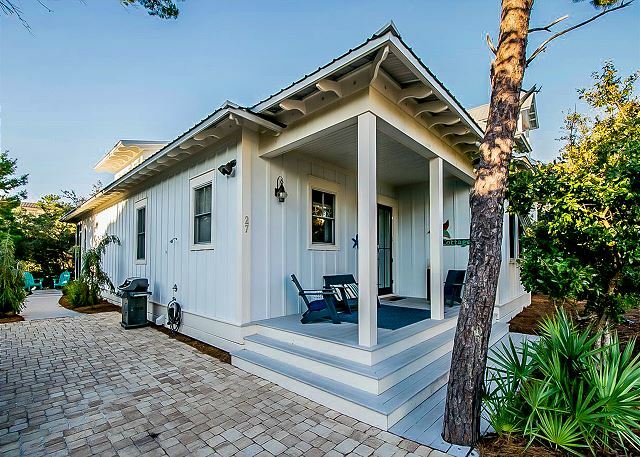 Towards the back of the home you will find the master bedroom, a powder room, and a screened in back porch where you can hear the ocean waves! 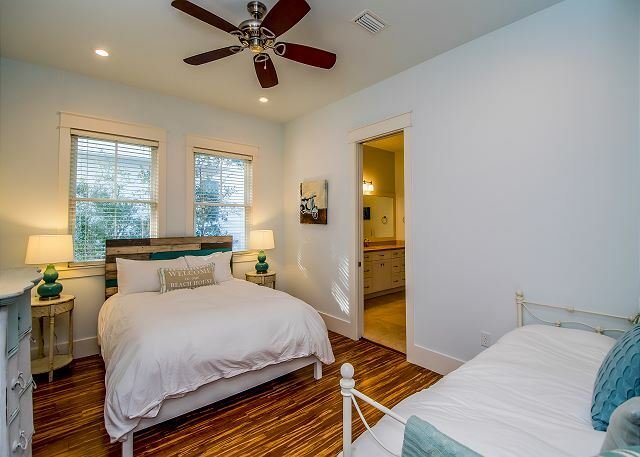 The master bedroom is outfitted with a queen size bed, a twin daybed, and an en-suite bathroom with dual vanities, glass enclosed shower, and a large walk in closet. 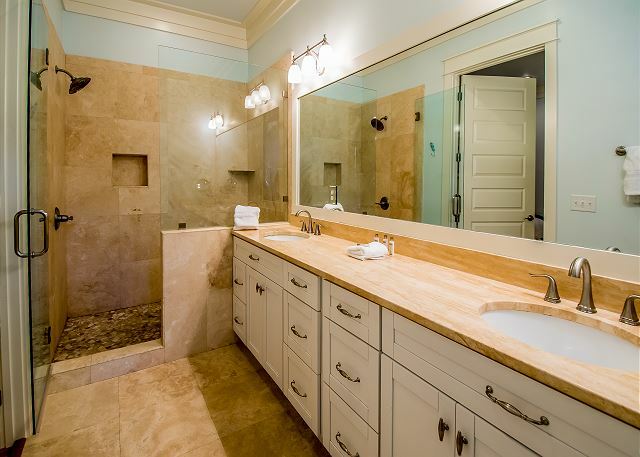 The Preserve at Grayton Beach is located on a beautiful stretch of 30A. It is a quiet, private, gated community that offers two pools, one of which is seasonally heated, tennis courts, and a clubhouse. 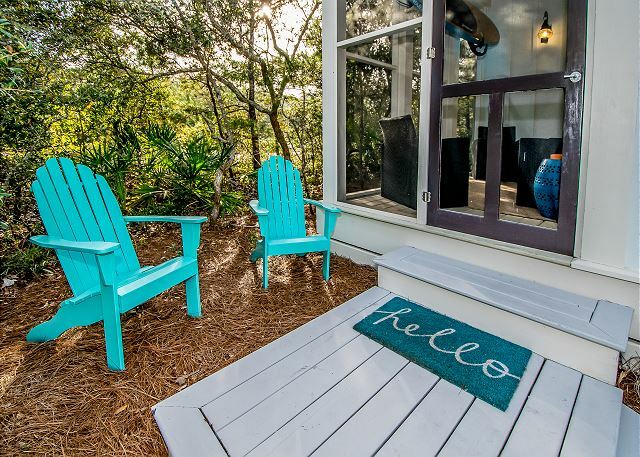 A short walk down its private, deeded boardwalk will have you relaxing on the beach in no time! The walk to the beach from the house is approximately a 5 -7 minute walk. The neighborhood is surrounded by Point Washington State Forest, offering over 10 miles of hiking and biking trails! Please Note: Boats, RVs, Trailers and Golf Carts, including street legal or gem cars ARE NOT ALLOWED by renters at any time in the Preserve. Allotted parking for 3 cars. OWNER PROVIDED: 4 beach chairs, an umbrella, and a beach cart are provided for your convenience. This place was a dream! So gorgeous, incredibly peaceful,and conveniently located. I will definitely be staying again and I will be recommending Starfish Cottage to all my friends. It's a lovely home and I'm so grateful I got a week in that paradise. Thank you Josephine! We are so glad you enjoyed your stay and were able to find peace and relaxation! After all that's what the beach is all about, right??!! What a fantastic home this is - paradise is correct! 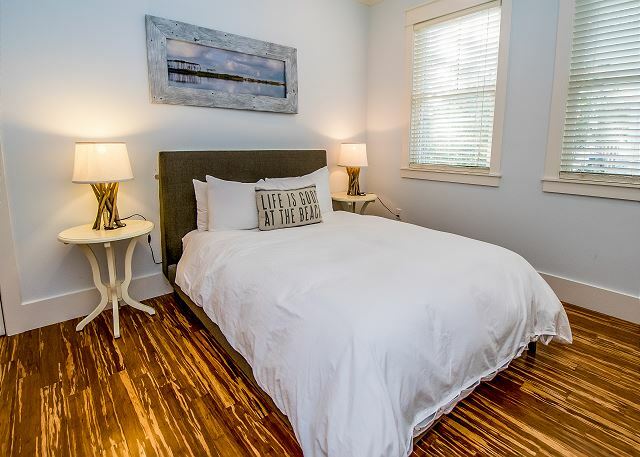 Lots of space for the entire family to hang out - nicely sized bedrooms and bathrooms as well! 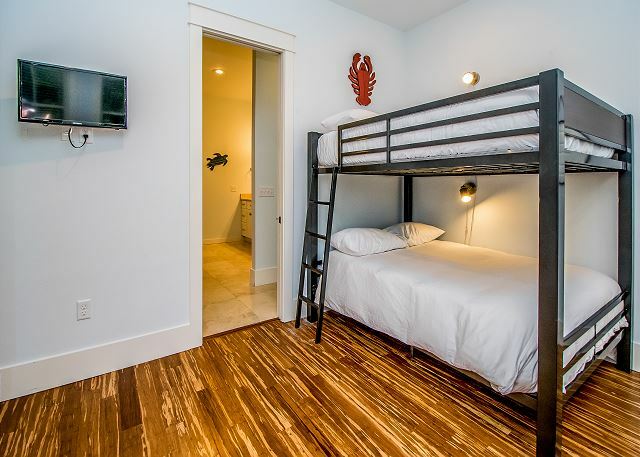 No need to feel cramped while staying at Starfish Cottage! Beautifully decorated and just a quick walk to the beach - it doesn't really get any better than this! 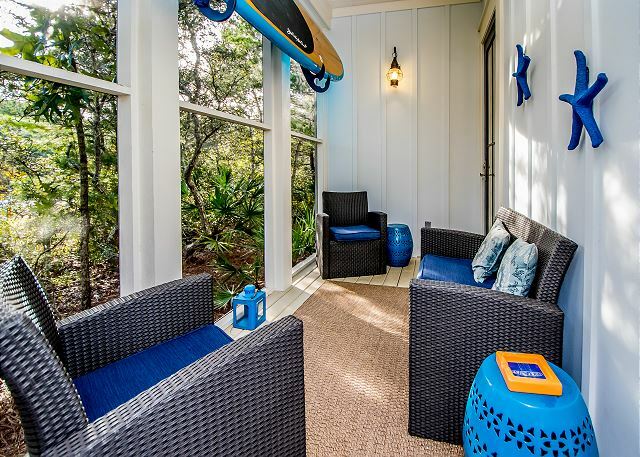 Call Benchmark today - we would love to talk with you about Starfish Cottage and make this dream your reality! Beautiful home in a great location. Every amenity you could need for a 5 Star stay. Incredible private beach and walkover. 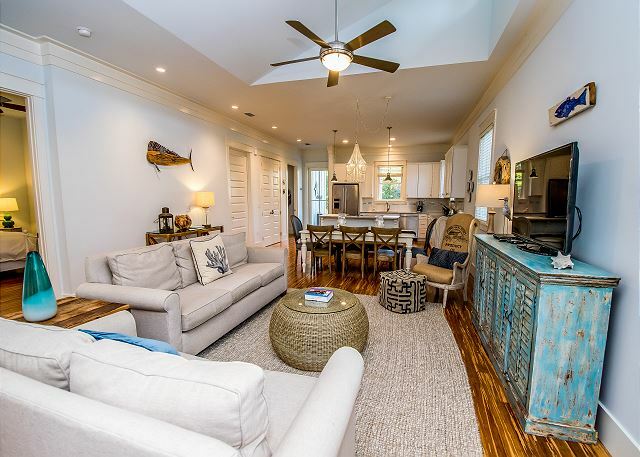 Best kept secret on 30A. Neighborhood has 2 pools but they are very small with limited seating. Thank you for submitting your review Mark! This is a wonderful cottage indeed!! As mentioned this is also a beautiful part of 30A - all of the beauty without all the hustle and bustle! 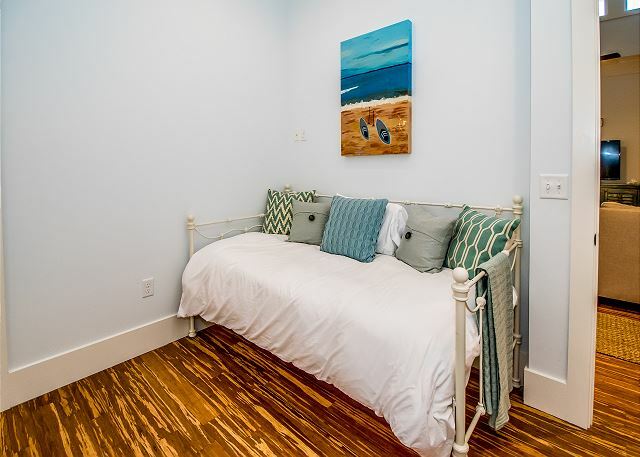 Starfish Cottage is a great property to enjoy with your loved ones - lots of space for hanging out, easy stroll to the beach and conveniently located if you would like to do some shopping or some eating! Call Benchmark today and let us answer all your questions - then let us help make your dreams of a beach vacation come true! Thank you for submitting your review. We also appreciate your kind words and your patience as we all tried to navigate the issues brought to us by Hurricane Michael. Isn't this place adorable? 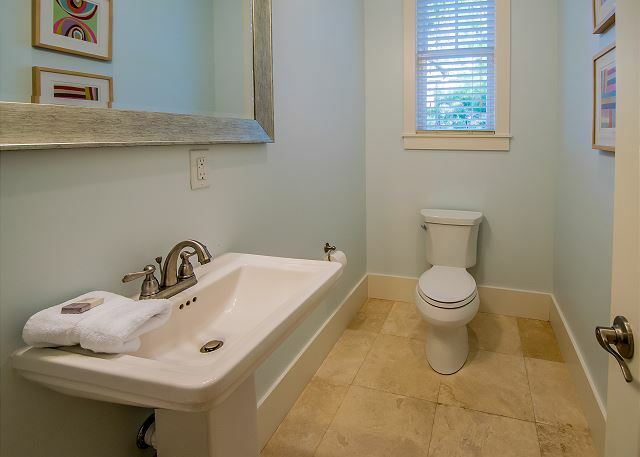 It has a quaint "cottage" feel but is so spacious and comfy! The decor is lovely and it would be the perfect spot for a girls getaway with the large, open kitchen, dining and living room space. No one gets left out here! Also great for a couple of families to enjoy - cook dinner and then bring on game night! Call Benchmark today and let us help you set up your perfect girls getaway or family renunion! Starfish cottage was a perfect spot for our fall family vacation. A cozy house with plenty of room to spread out. Great proximity to the neighborhood pool and beach access. Can't wait to bring the family back next year! Overall, we had a very pleasant stay at Starfish Cottage. 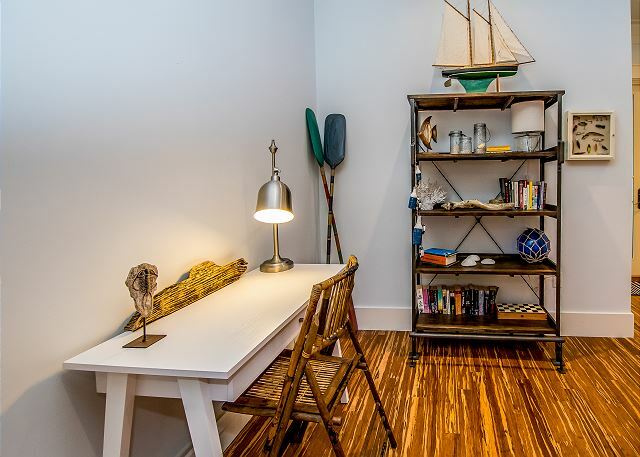 Great location, easy access to beach (definitely a walk to the beach but a pretty walk). Good house layout for family or several couples. The only reason I didn’t give 5 stars all the way down is the house felt pretty bare (no bath mats or kitchen rugs, kitchen supplies weren’t that great, and not even an extra trash bag) and it was a decent walk to the beach. But overall, the house is a good rental. Thank you for your review - we do appreciate all comments! This is a spacious house so there is plenty of room for all! Great open concept and it is all one level - no stairs! We will be taking inventories soon so we will make sure all the needed items are available in the kitchen so that all guests have what is needed to create some great family memories! 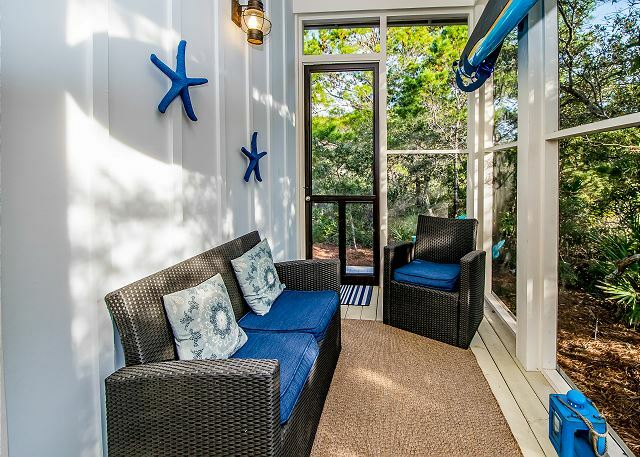 Call Benchmark today - we would love to tell you all about Starfish Cottage and The Preserve at Grayton Beach! The house was spacious, comfortable, beautifully decorated and well-equipped. The location to the beach was great. Good little walk to/from. The beaches in the area are beautiful. White sand, blue water. Plan to vacay here again. Thank you so much for taking the time to submit your review! We truly appreciate your business. We are so glad you enjoyed your stay at Starfish Cottage - this is a hard one to leave! So comfy and cozy with plenty of room for everyone! Nice big open concept kitchen, living and dining area - well equipped in the kitchen so feel free to stay in one night to prepare the family meal - good times and good memories is what we are all about! Call Benchmark today - let us help you get your beach vacation on the books! Our family had a wonderful time! The cottage was beautiful, spacious and so comfortable! Everything was clean, organized and well kept. The kids loved the bunk room. We enjoyed the accessibility to the beach. We all wish we could have stayed another week. A perfect retreat for a small family. Thank you for your review! So glad you loved Starfish Cottage - we love it too! We couldn't agree more - it is very spacious and cozy! 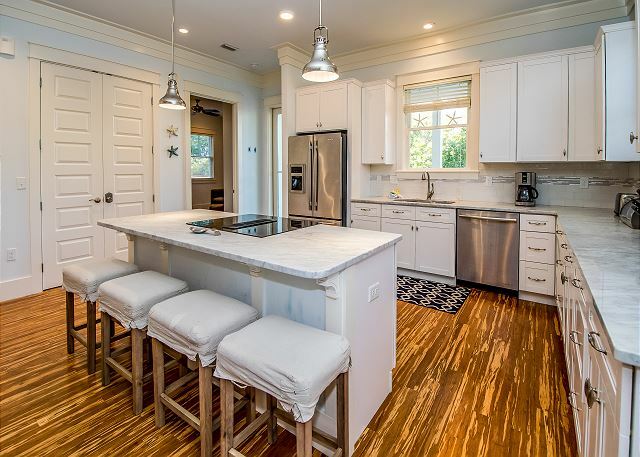 Great open concept so the whole family can be together while cooking a meal or watching Netflix! 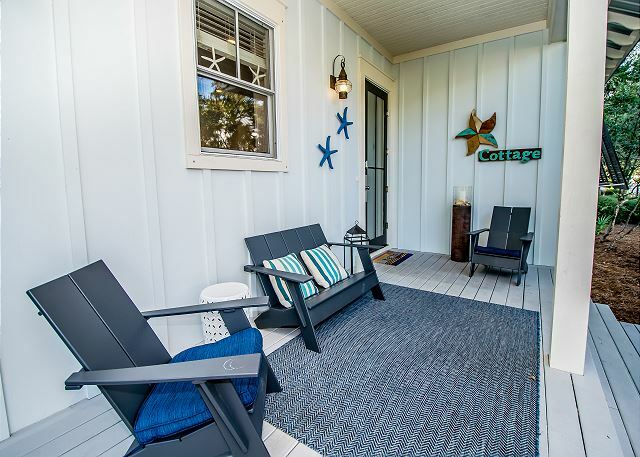 Starfish Cottage is also located in a beautiful, gated neighborhood and the beach is just a quick walk away! 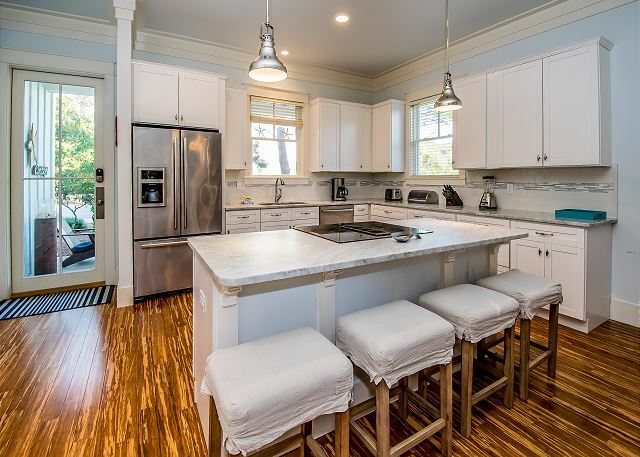 And just down the road in either direction you have some of the finest eateries on 30A. 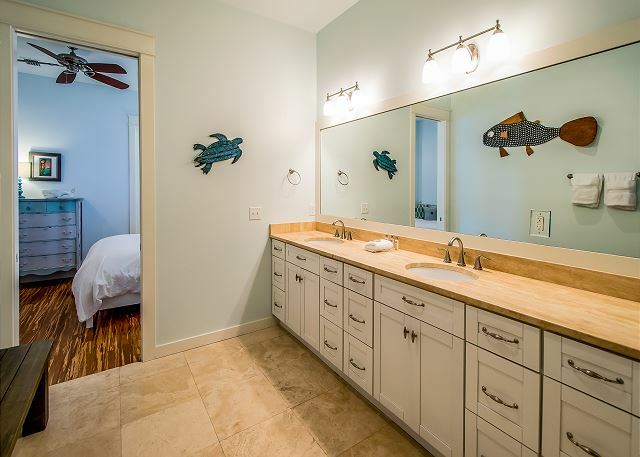 There is so much to experience in Walton County and Starfish Cottage is a great place to stay while taking it all in! Call Benchmark today and we will set you up! Thank you for submitting your review! We know how disappointing it can be when the weather doesn't cooperate! Fortunately most days are not completely lost and often times through the rain we see some amazing rainbows that form over the Gulf! 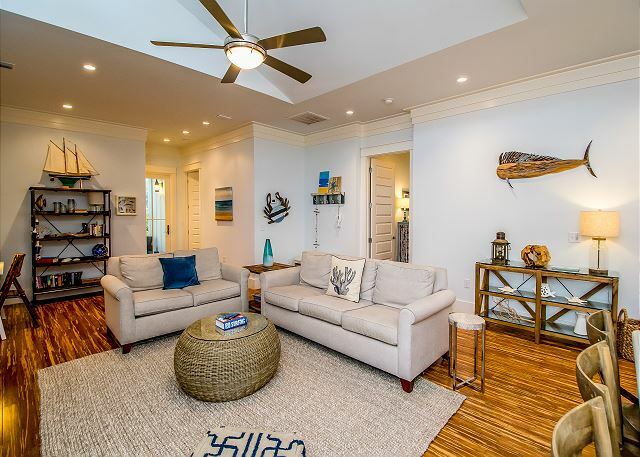 This is such a wonderfully cozy home to share with your family! There is an open concept living and kitchen area that has plenty of room for everyone! 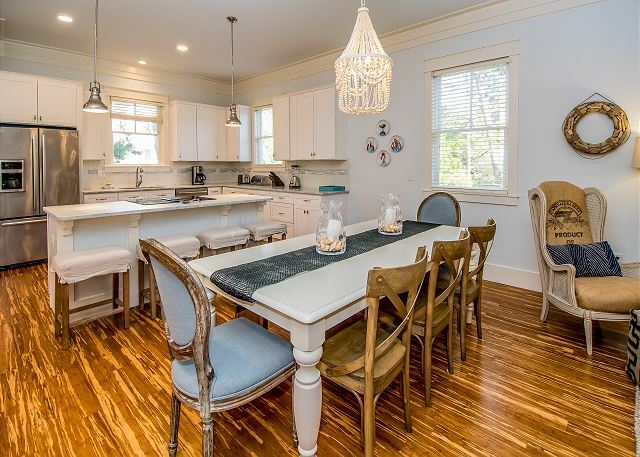 There will be many family memories made around this table while cooking and dining together! The home is also located in a very quaint neighborhood with tree-lined sidewalks and an exterior gate to help ensure your safety! Oh and we cannot forget to mention - just a quick walk down the street and across 30A to some of the most beautiful beaches in the world! Call Benchmark today - we would be happy to help you secure your reservation at Starfish Cottage - family memories await! This cottage is just beautiful and charming inside and out! When I conjure up a mental image of a cottage, I imagine a small dwelling, but he Starfish Cottage is extremely spacious! 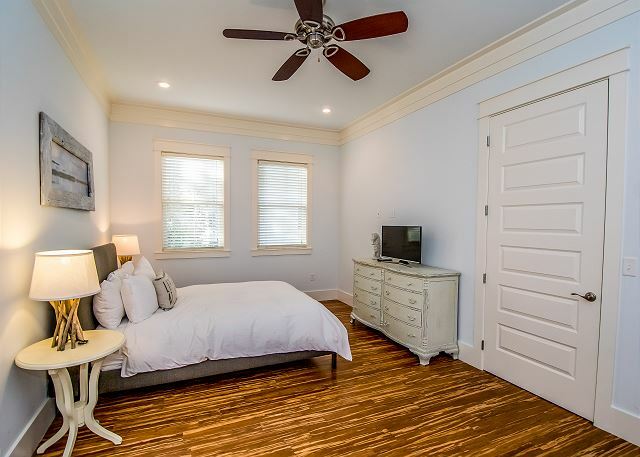 Decorated beautifully, appointed with anything you could ever need, great location, etc. We like the restaurants and shops in Seaside, and had a quick, easy ride there. Beach access is a bit of walk, but I enjoy that. I think if my kids were still small and I had to haul their toys etc., it might feel like a bit of a hike. But for me, the walk down the wooded path to the beach was gorgeous! I have no criticisms, but If I had to make one suggestion, it would be to get a bigger coffee table. Would highly recommend Starfish Cottage, and I am hoping to stay again! Thank you for your review - we couldn't agree more! 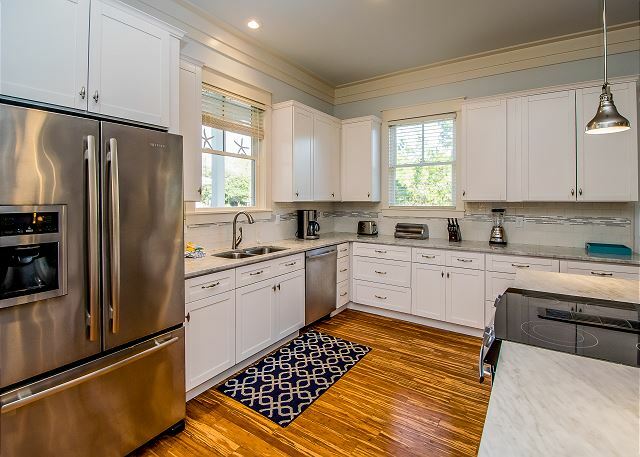 This is a lovely and spacious cottage! 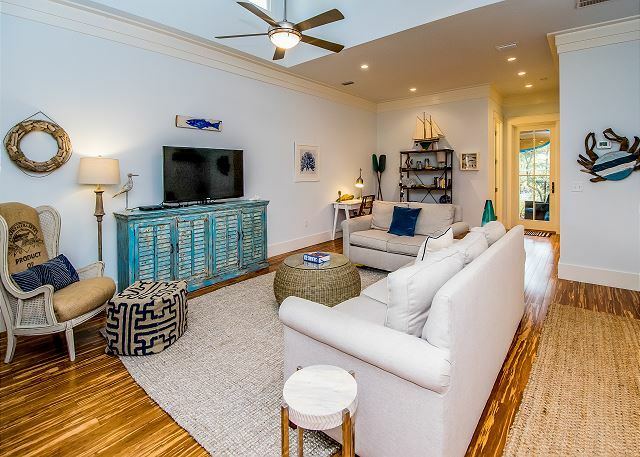 The location is fantastic - great neighborhood atmosphere and very close to shops and restaurants of Grayton Beach as well as Seaside! Community pools and just a quick walk to the beach make this a great vacation choice for your family! 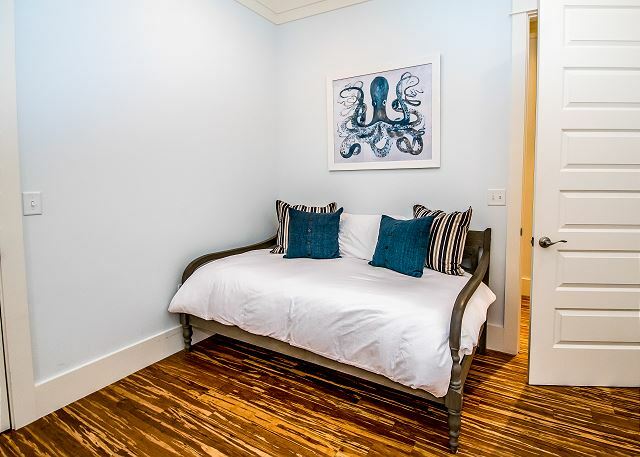 There are limited dates available so call for your reservation at Starfish Cottage today! !